That gun is more of a piece of art than a gun. It is breathtakingly beautiful. 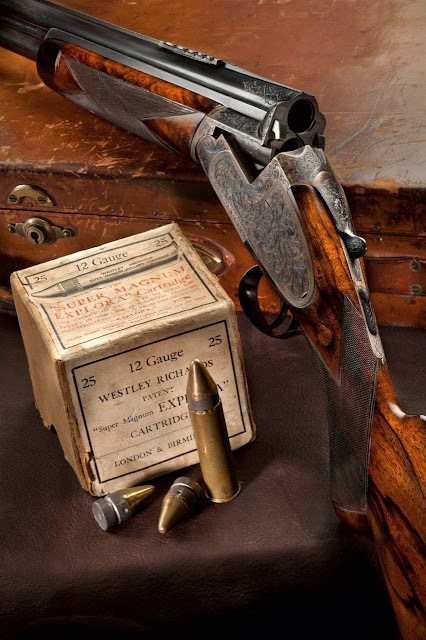 I don't want to own a gun that I am afraid to shoot, due to it being just so beautiful, but in the case of this one, I would make an exception. I wonder if that is a paradox gun???? To shoot slugs like that it might be. It most likely is, note the five folding leaves of the rifle sight on the rib. i noticed that after I wrote the comment. "Kills on one end, maims on the other"